You are here: Home / Environment / We’re trashing ourselves! Almost there! 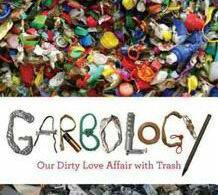 Click on the link above to get to the Garbology story and interview on Fresh Air. Edward Humes is a Pulitzer Prize-winning journalist and author of the just-published "Garbology: Our Dirty Love Affair with Trash" (Penguin). He also authored "Force of Nature: The Unlikely Story of Wal-Mart's Green Revolution" (Harper Collins, May 2011). See Edward Humes's website.